Save the earth; make art. Earth Day is coming! How are you going to celebrate with your class? 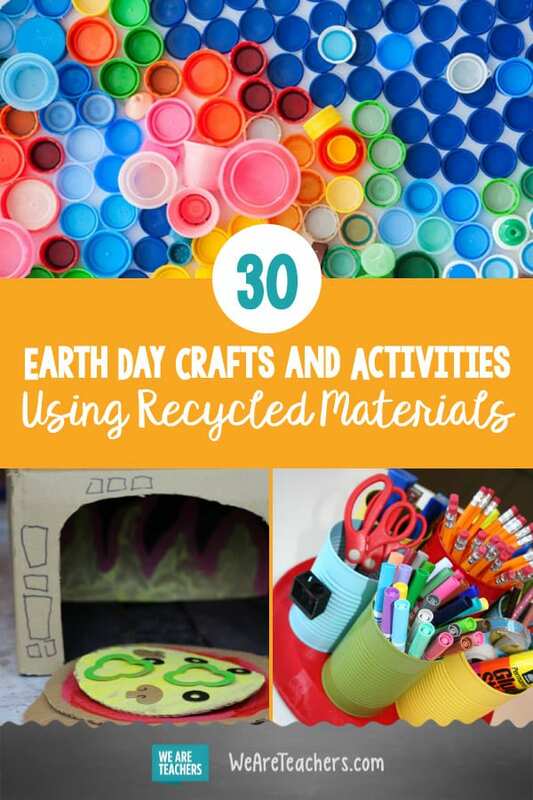 Buying brand-new craft supplies to celebrate and learn about Earth Day would seem squarely out of sync with the recycle-reuse-renew lessons we are teaching our students, right? So what are your other options? Don’t worry. We’ve got you. Let’s raid your recycling bins for supplies and then try one of these eco-savvy Earth Day crafts that is sure to excite students. Large plastic bottles become beautiful hanging planters in this green-living and green-thumb project. You can send the planters home with students or hang them on campus for a gorgeous hanging garden. 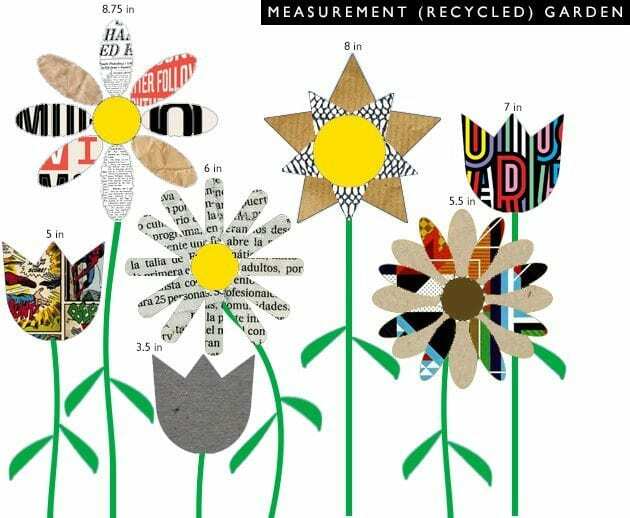 Scraps of paper are the only supplies you need for this recycled-flower-garden activity and lesson . The measurement and math element is an added bonus. Have students bring in their used cardboard egg cartons from home and make these recycled egg carton trees. 4. Create your own flexible seating. 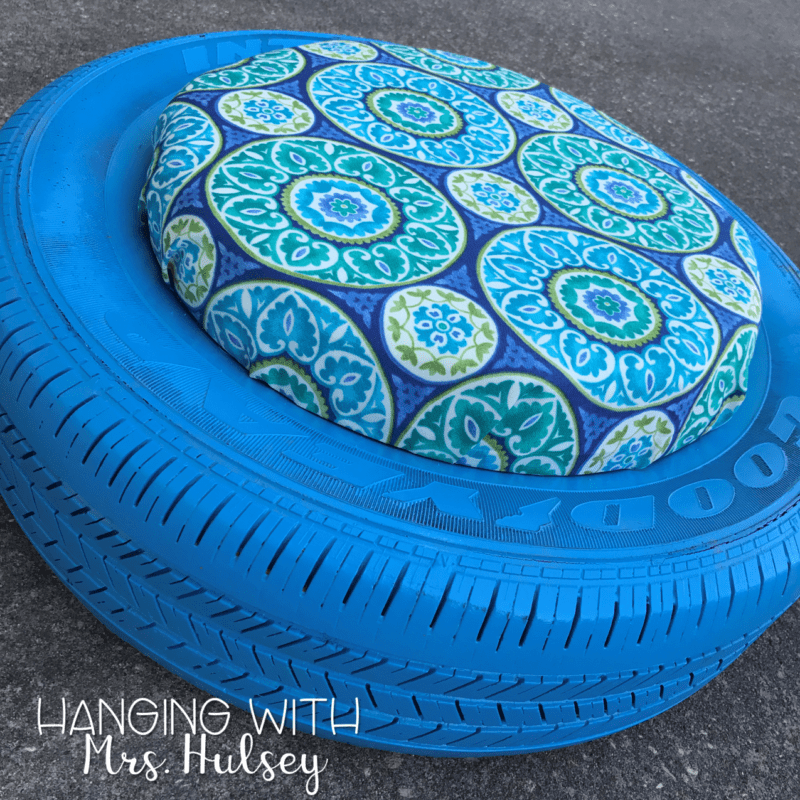 One of our favorite Earth Day crafts has to be upcycling tires into comfy seating for your reading nook. 5. Fashion a pop-top bracelet. Aluminum beverage pop tops become wearable jewelry, thanks to some ribbon ninja work. Put this video onto your interactive whiteboard to give your students the full 411 and then get crafting. 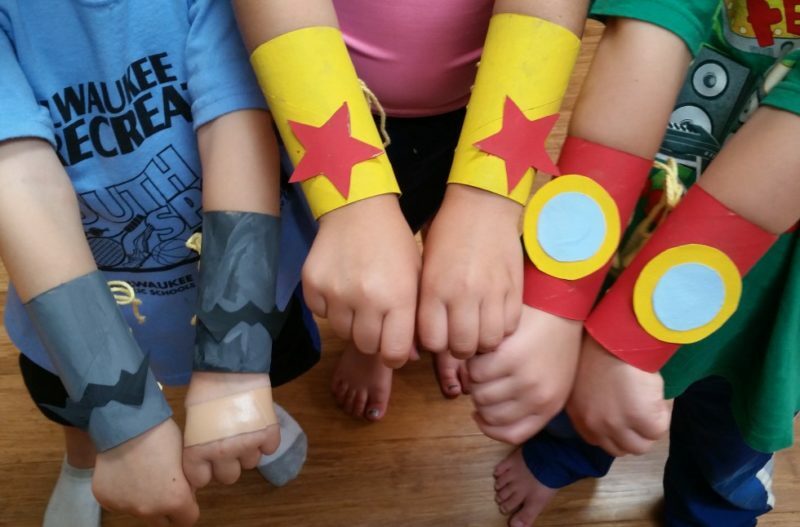 You’re never too young or old for superhero cuffs. Toilet paper rolls make the perfect starter for this project. Then you just need a little construction paper and imagination. Go outside for a nature walk and gather sticks, weeds, and pickable blooms, and then bring the treasures inside to be showcased in recycled jar lids. 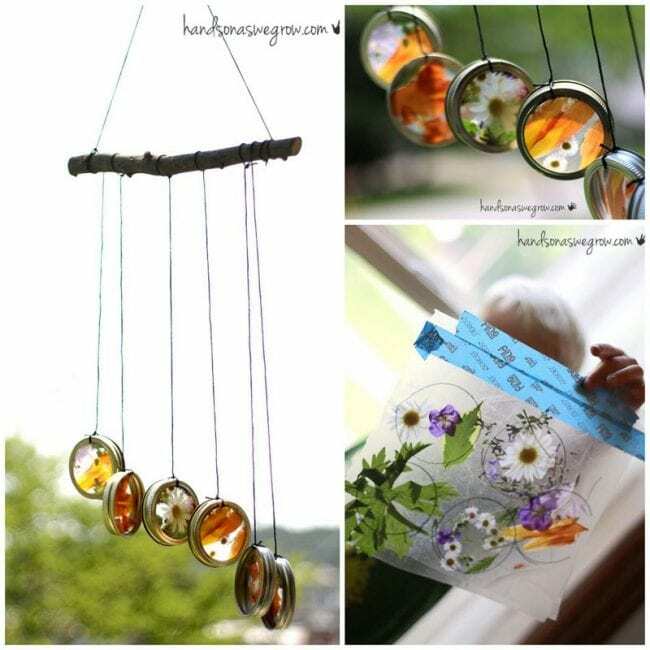 With some wax paper and string, your students can craft this surprisingly beautiful recycled wind chime. 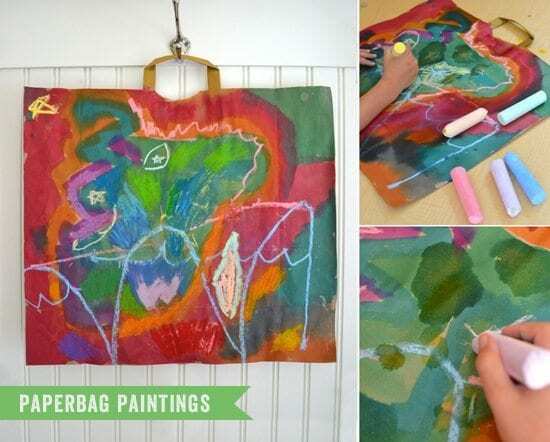 Brown paper bags become eco-canvases for student work and a perfect way to adorn school hallways for Earth Day. Bonus points if you can source handled bags, because the handles serve as built-in artwork hangers. 9. 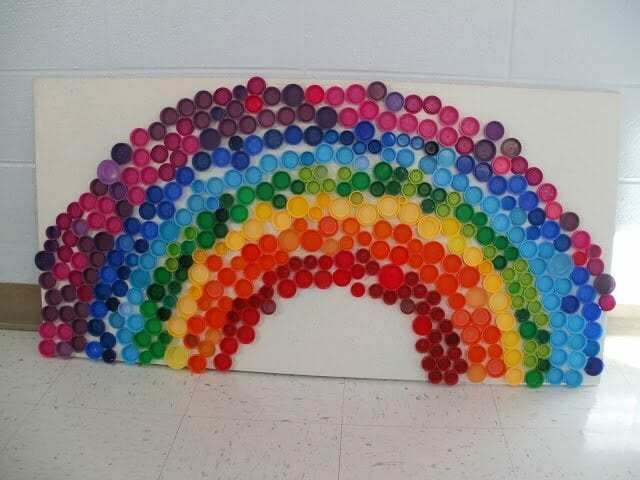 Raise a rainbow made of drink tops and bottle lids. 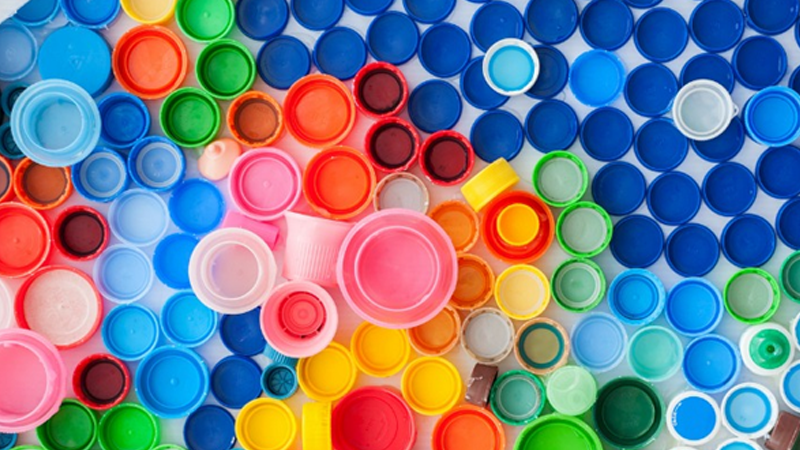 Recruit your students’ families to collect plastic bottle and jar lids and then collaborate in crafting a large-scale colorful recycled rainbow mosaic. This all-hands classroom project showcases how many people need to work together to create environmental change. 10. Use old crayons to make new ones. This isn’t just any recycled crayon. It’s a gorgeous earth crayon! You can make these with your students, using a muffin tin. You just need to sort out the right colors. 11. 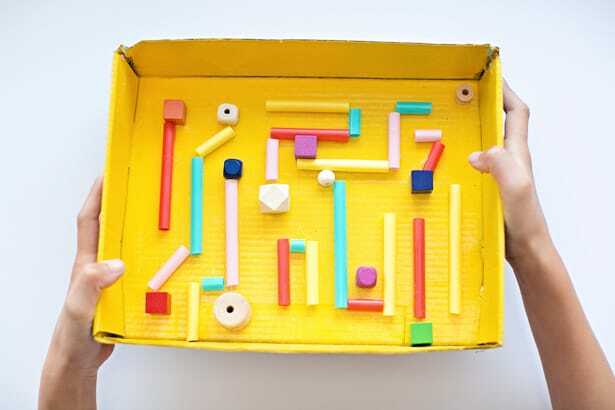 Use upcycled objects to make mazes. STEM and recycling go together wonderfully! Let this idea from Hello, Wonderful be featured in the makerspace or STEM center in your classroom. You can challenge students to make mazes or something else entirely. Herald spring with this easy crowd pleaser: the large plastic bottle bird feeder. Reach out to local stores or nature centers for bird seed donations, have your students bring in bottles, and then show the class this short video to get them started constructing their feeders. 13. Get organized with old cans. 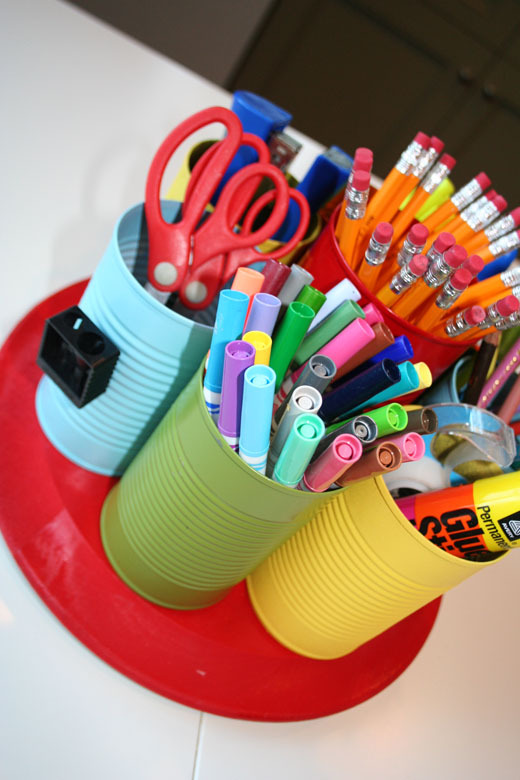 Tin cans are easy to get your hands on, and they can go a long way in organizing your classroom supplies. Get your students involved by having them help decorate the cans. They’ll really take ownership in this, which will hopefully help them want to keep supplies more organized. Cut off the bottoms of beverage bottles or reuse food containers and jazz them up with brightly colored paper scraps. 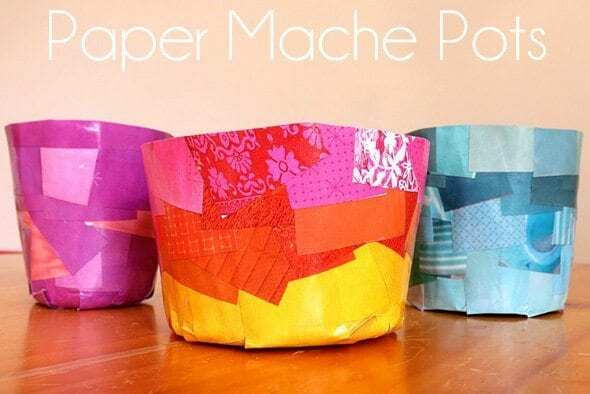 Except for the glue, these papier–mâché planters are composed solely of recycled materials. 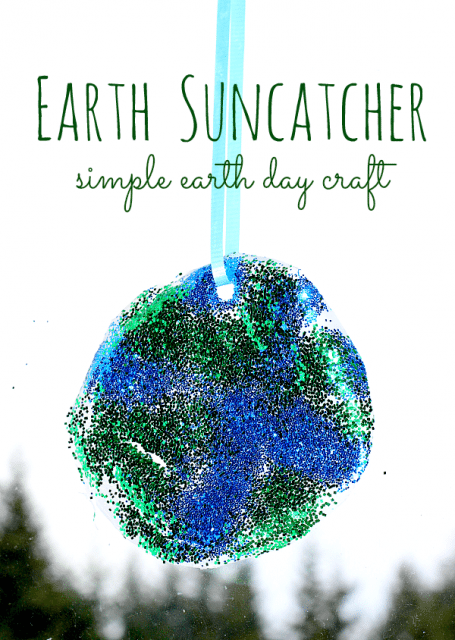 All you need is school glue, glitter, and recycled plastic lids to craft these Earth Day suncatchers . It is a two-day craft, and peeling earth off the lid on day two is half the fun. 16. Make chair fidgets out of old tees. Give old T-shirts new life with this craft by making chair fidgets in your classroom. This uses a simple braiding technique, and your students will love helping out. 17. Collaborate on an aluminum-can recycling bin. Students can work together to create an aluminum-can recycling center for the cafeteria or other school common areas (like the teachers’ lounge!). Watch the video above to get the simple instructions and learn how your classroom and school can make recycling fun and rewarding with Recycle Rally. 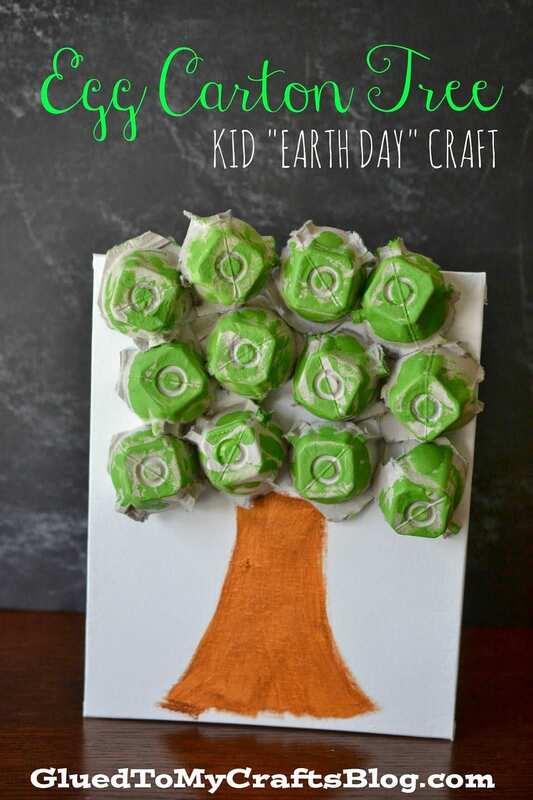 Are these the sweetest Earth Day crafts ever? 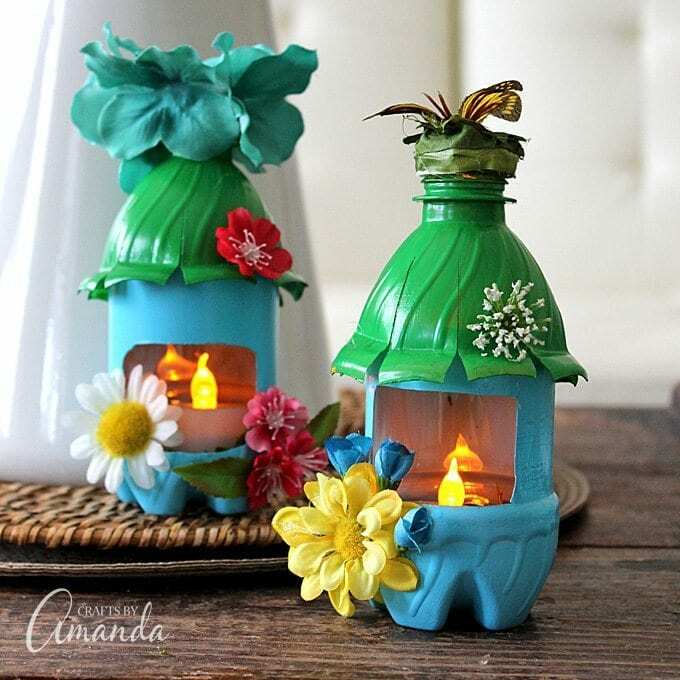 Plastic bottles from home become homes for fairies, thanks to paint, scissors, glue, and real or faux greenery. 19. 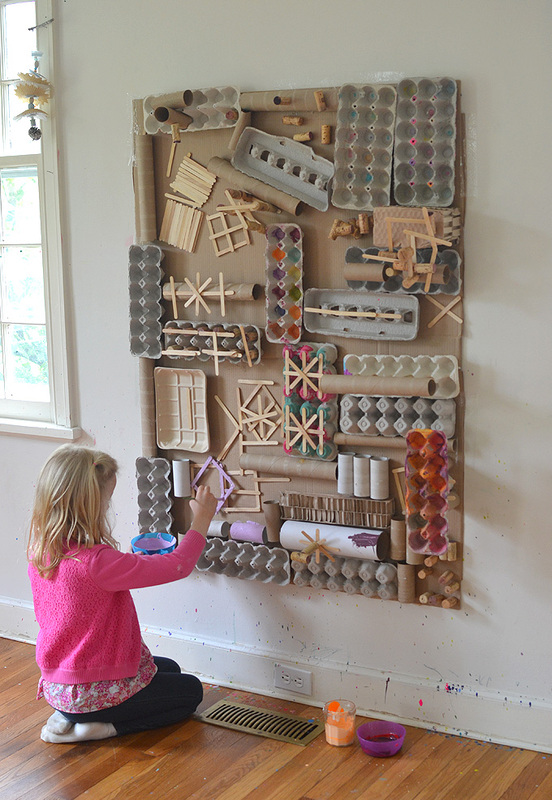 Create a giant recycled art wall. This is an amazing recycled wall masterpiece. We love the inspiration from blogger Art Bar. You could set it up on a cardboard backing and then let students add to it, paint it, and create with it as there is free time throughout the day. 20. Make your own games. 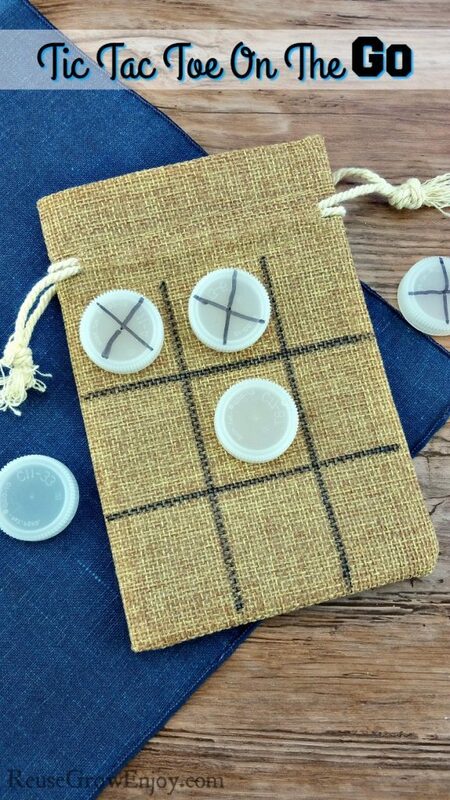 Use bottle caps in a game of tic-tac-toe. They can also be turned into checkers. This would be a great makerspace activity. Give your students several upcycled items and challenge them to create games! 21. Turn old magazines into art. 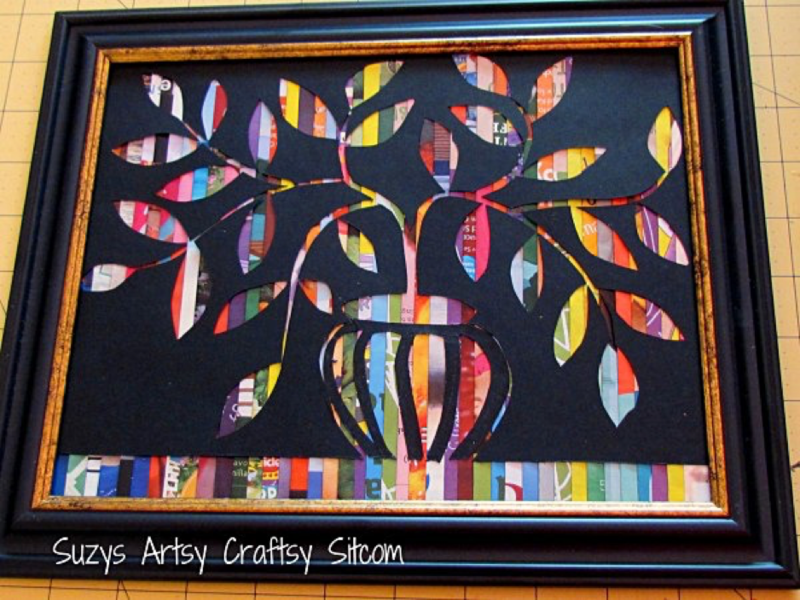 We love how this recycled magazine cut-paper art project can be modified for primary students or used to inspire sophisticated art by high school students. 22. Turn a plastic bottle into a trophy. There’s a plain recycled bottle under all that glitter. It goes to show just how transformative glitter can be. Students will love the opportunity to earn this trophy. 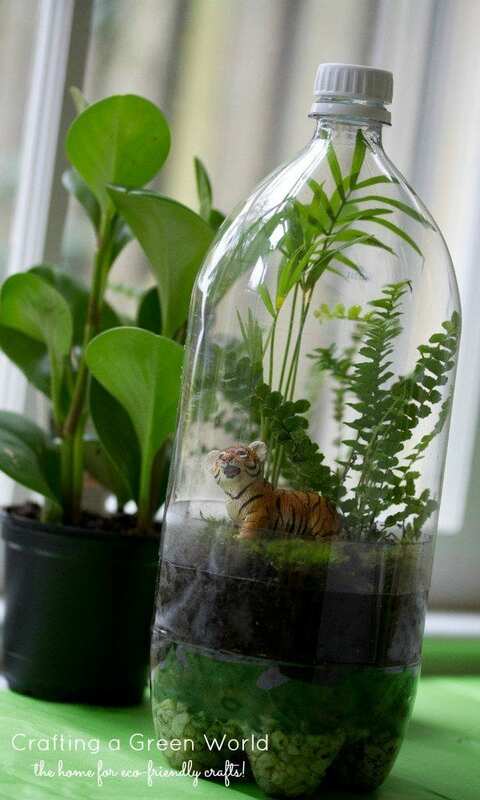 A bottle gets a second life as a museum-worthy terrarium as well as a home for an environmental science project. Be sure to add the activated charcoal and moss for plastic bottle terrariums that flourish. 24. Set up a self-watering planter. Your classroom studies of plant life, photosynthesis, and water conservation will get a boost with this hands-on crafting of a self-watering planter. The base? A good ol’ recycled large plastic bottle, as shown in this video by Recycle Rally. 25. Make plastic lid monsters. 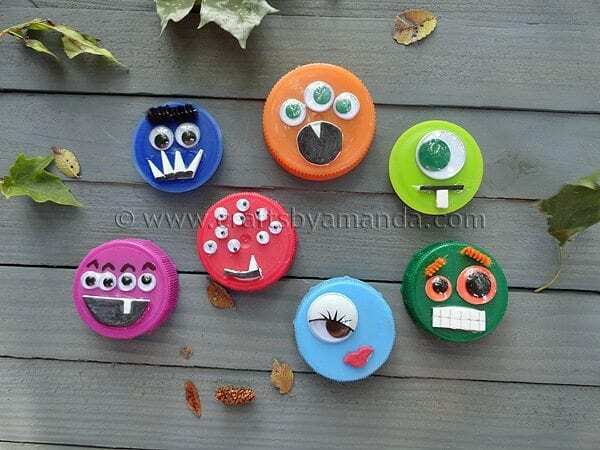 Everything is better with googly eyes and imaginative expressions, including Earth Day crafts. Transform plastic lids into monsters with your students. 26. Form flowers from water bottles. 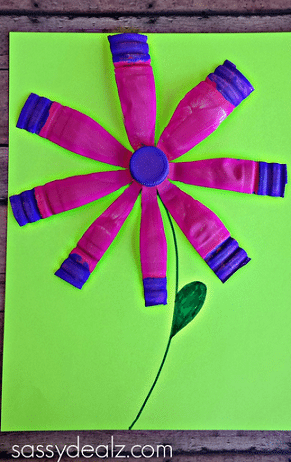 Recycled water bottle flowers are an easy craft that can be sourced directly from your classroom recycling bin, with the help of some paint. 27. 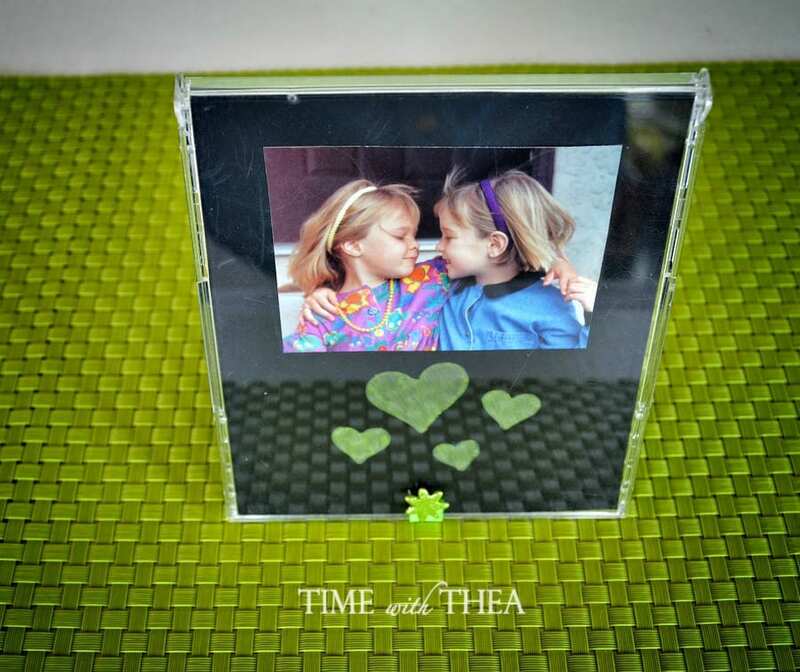 Create CD-case photo frames. Every person who was alive in the 90s probably has a zillion CD jewel cases collecting dust somewhere in the house. Put them to good use as recycled photo frames. 28. Give a hoot about these newspaper owls. 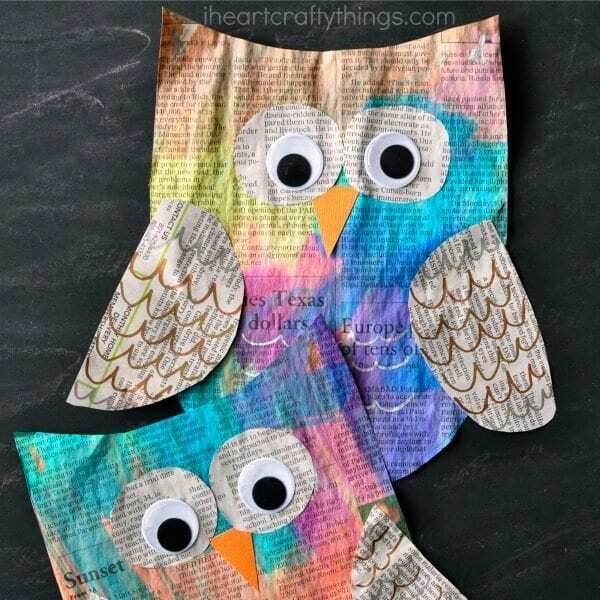 Old newspapers find their spirit animal when they become recycled newspaper owls. All you need are markers, watercolors, and paper scraps to make them come alive. 29. Construct a classroom plastic-bottle recycling bin. Water bottles come together, as do your students to make this water-bottle recycling center for the classroom. This project combines teamwork with respect for our environment, a double win. 30. Create genius ideas out of cardboard. 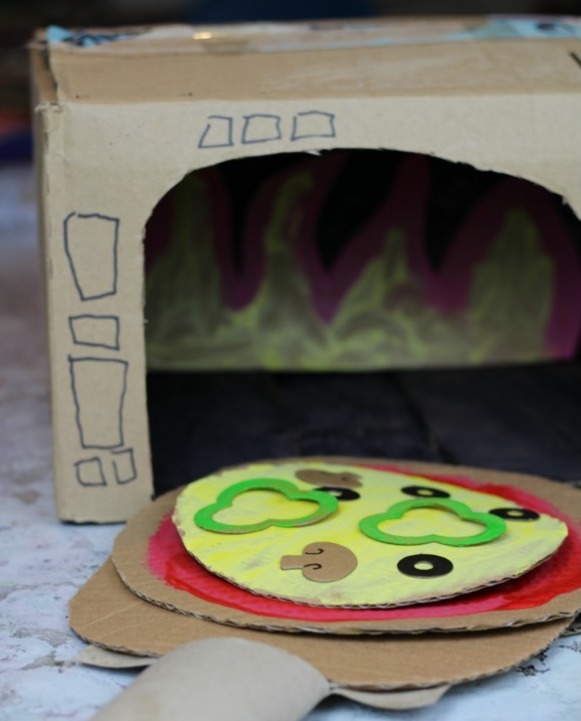 Cardboard is one of the easiest, least expensive materials you can get your hands on. Grab a ton of it and challenge your students to make awesome creations. You never know what they might come up with. 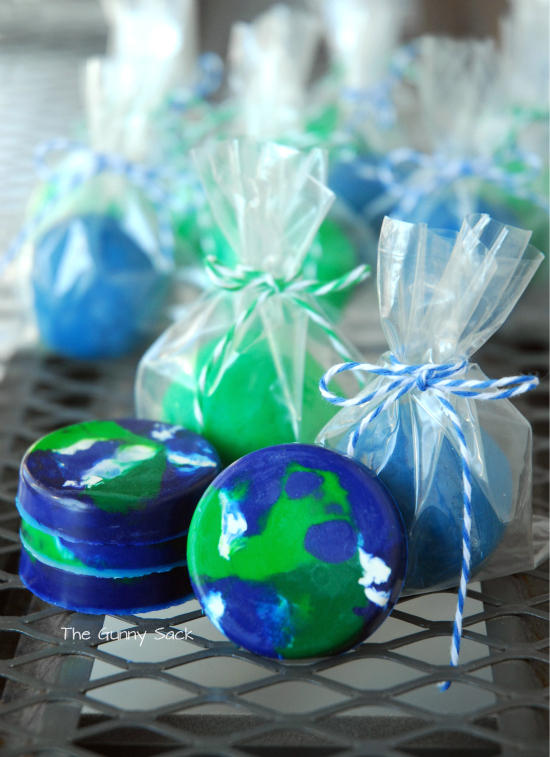 What are your favorite Earth Day crafts? Come and share in our WeAreTeachers HELPLINE group on Facebook. Plus, check out additional upcycling ideas for the classroom.